All photos by Amber Gregory. At the Fox Theater, a sea of black T-shirts, piercings, and tattoos that I couldn’t make heads or tails of flooded the floor of Oakland’s Fox Theatre. It was a crowd of excited 20-somethings ready to rock. Right before Ty and company came to the stage, the energy in the room changed. The calm before the storm of guitars, bass, and drums. 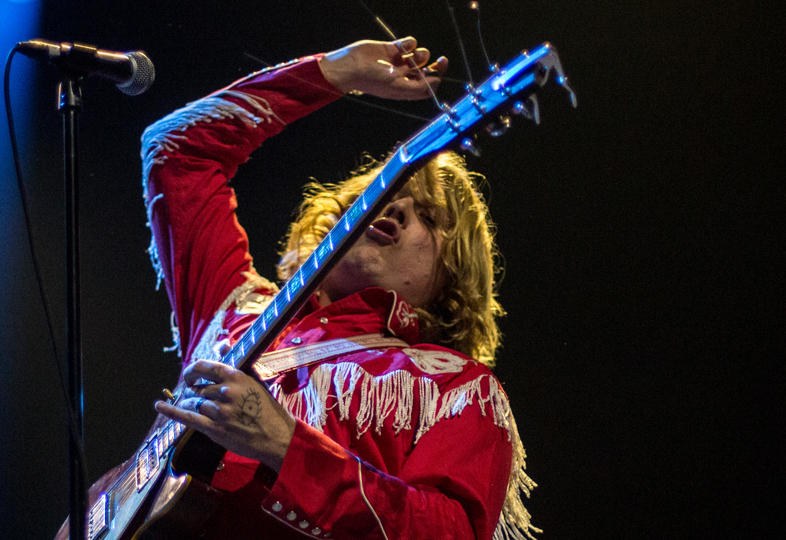 Ty Segall is a prolific figure in the word of underground and indie rock. 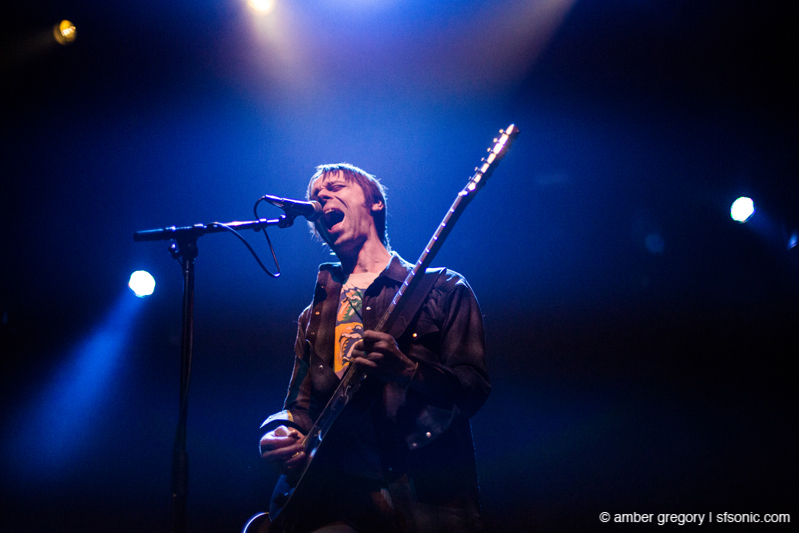 The singer-songwriter has put out many full-length releases with several bands. 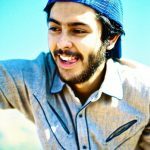 Currently, he tours with The Freedom Band, but has since been backed by The Muggers and the Ty Segall Band. Segall has also been a member of Fuzz, Broken Bat, and GØGGS. 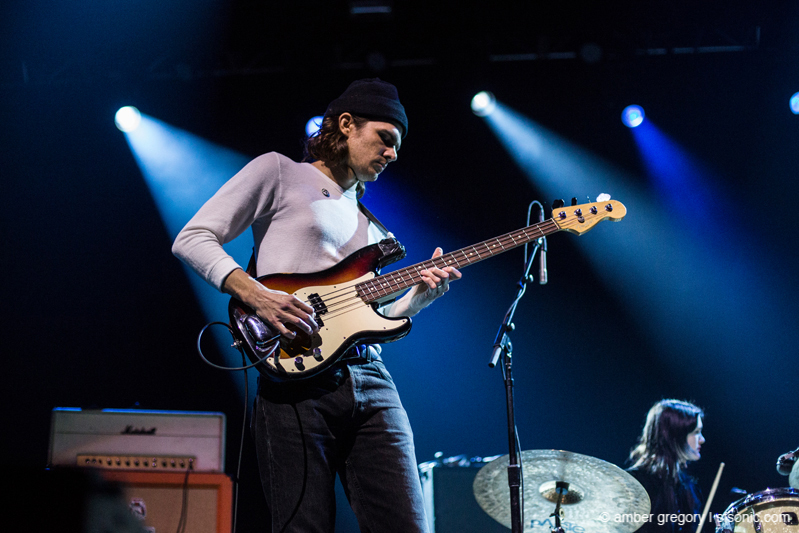 Segall is constantly writing and releasing music; at times, it’s hard to keep up. 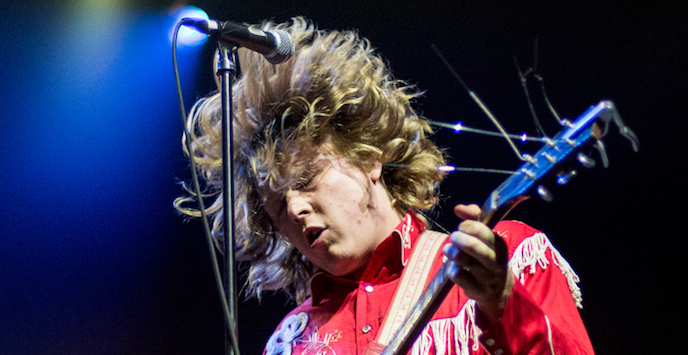 Now, he’s released yet another record with new The Freedom Band, his second self-titled record Ty Segall. The album is a quick, 36 minute thrill ride of psychedelic and punk rock that showcases just how easy music like this comes to the singer. At this point, he knows how to throw down a menacing guitar riff or compose a thunderstorm at the drop of a hat. Segall’s setlist at the Fox Theater put these new songs on display and they didn’t fail to rattle and shake the venue. The centerpiece of the night had to go to the epic “Warm Hands (Freedom Returned).” The song was a blazing, proto-metal suite of squealing guitars doused in fuzz and glam-rock. It was at that moment that the venue became an all-you-can mosh hellscape. I lost my shoe during the the middle of the song, got hit in the head by a crowd surfer, and was almost trampled. What a great show! 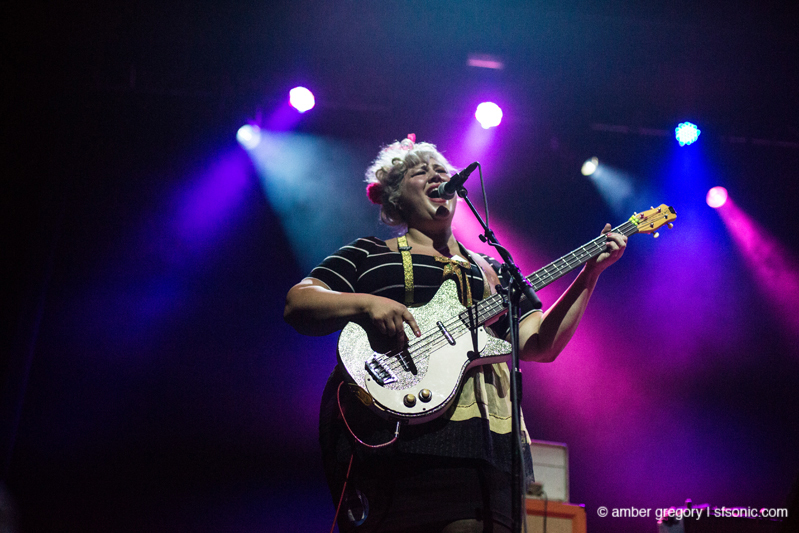 The bands to immediately precede the chaos of Segall were the lo-fi, psychedelic pop band White Fence and the girl group, punky Shannon and the Clams. Both bands draw influences from popular sounds that flooded the 60s. Whether it’s The Clams’ love letter songs to The Crystals or The Ronettes or White Fence’s songs that mine from Donovan and Syd Barrett, it’s definitely a revival. Pysch-rock band Axis: Sova kicked off the night with a lot of guitar noise and tinny drums. 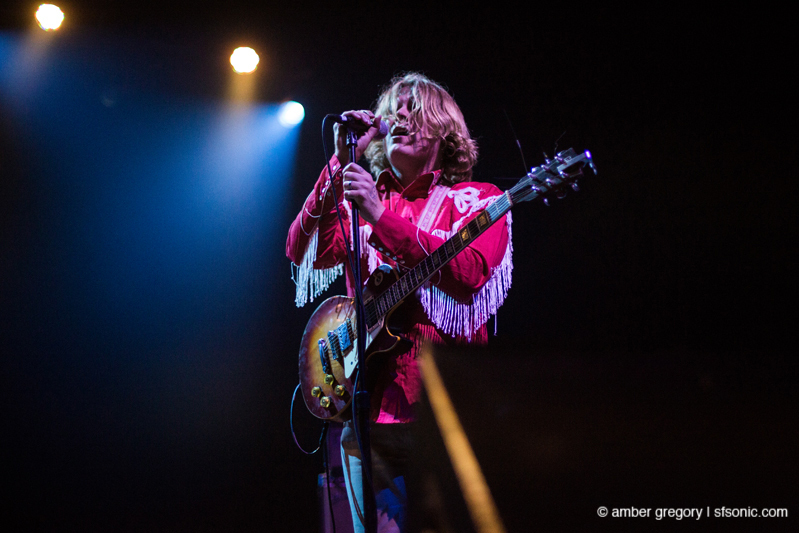 For more information about Ty Segall, check out his website. 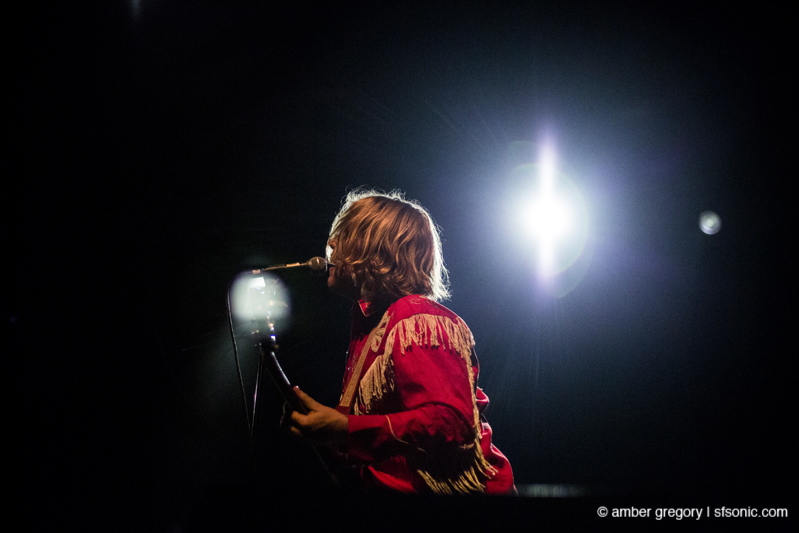 Find out more about Shannon and the Clams here. Check out White Fence on Facebook. Axis: Sova has a website here.